US carrier United Airlines has now stationed a Boeing 757-200 at “Knuffingen Airport” at Miniatur Wunderland Hamburg. Hamburg, Germany, 2018-Feb-19 — /Travel PR News/ — US carrier United Airlines has now stationed a Boeing 757-200 at “Knuffingen Airport” at Miniatur Wunderland Hamburg. The aircraft has now set off on its maiden flight. A video of the event is available at https://youtu.be/qF2cIbmzSsg. “We are delighted to welcome United Airlines at our miniature airport. 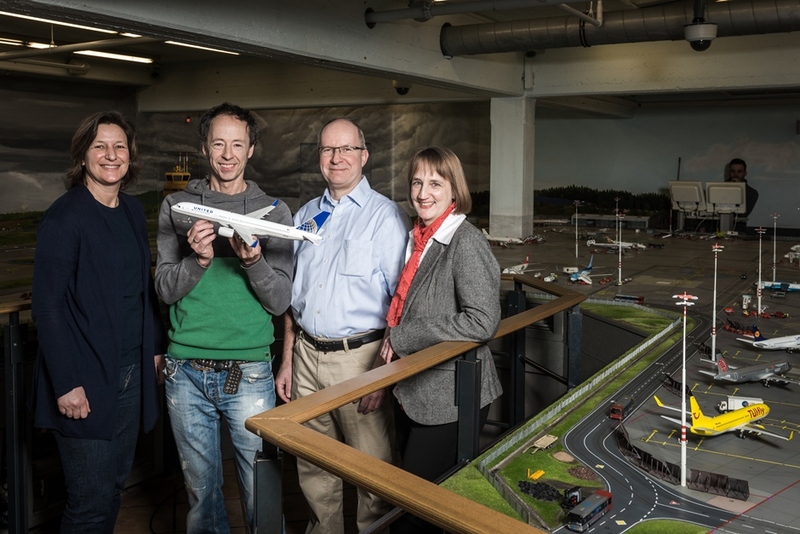 Knuffingen Airport can now also offer transatlantic flights to our small Wunderlandians,” says Gerrit Braun, founder of Miniatur Wunderland. Miniatur Wunderland attracts more than 1.4 million visitors every year. “Knuffingen Airport” opened in May 2011 and has been expanding continually ever since. This entry was posted in Airlines, Airports, Flights, Travel, Travel Marketing and tagged Anja Compton, Boeing 757-200, Gerrit Braun, Knuffingen Airport, Miniatur Wunderland, United Airlines, Wolfgang Manner. Bookmark the permalink.